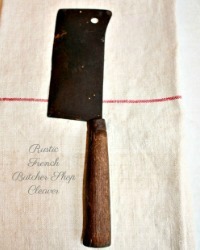 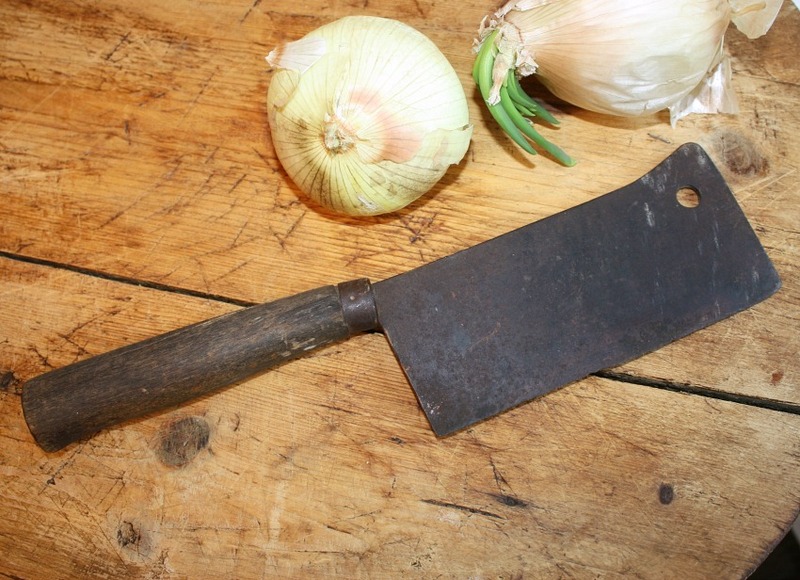 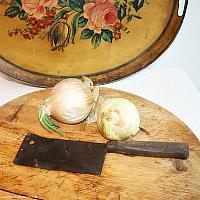 Antique French Butcher Knife or Cleaver bought in France, it is in its authentic original condition. 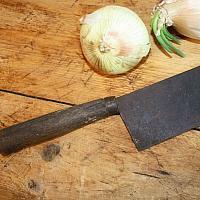 You may want to clean it up with mineral oil or butcher's block oil. 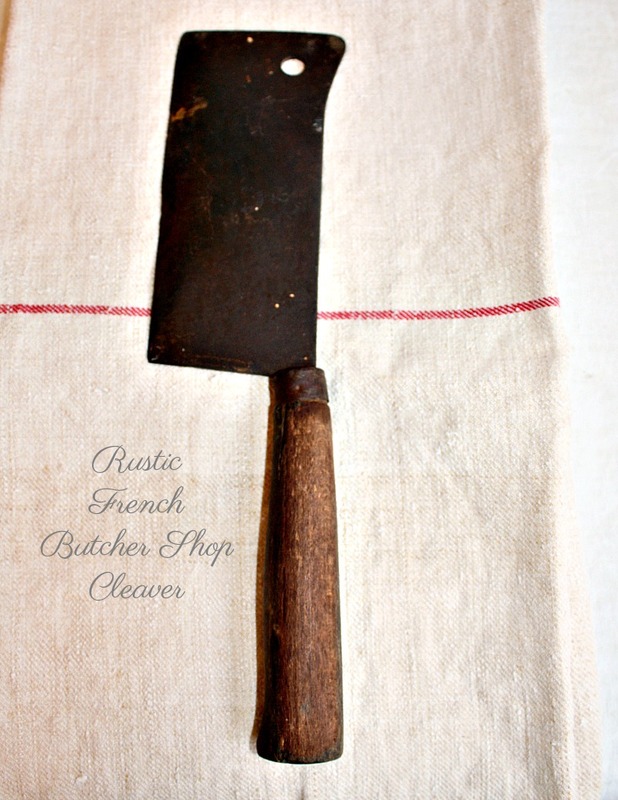 Each has seen decades of work life in France, these are the actual ones butcher shops used. A fun addition to your French Country kitchen, some of our clients use them as part of their French kitchen collection of tools, others frame them as works of art!